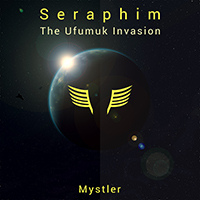 Today marks the release of my new full album Seraphim: The Ufumuk Invasion - now available on several popular digital platforms. 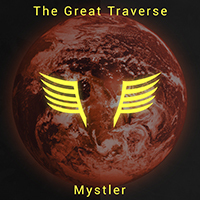 It is my first concept album and a soundtrack to an original science fiction universe. This time, it is not just the music but I also created a free digital companion booklet that outlines the story behind it. The amazing Keith “Tweek” Lord even contributed some special artworks for it. I hope you enjoy it! I still feel like a child in terms of being on the ShadowCraft team. I already knew and used the tool for a long time but, in early 2017, following Fierydemise’s call for help was what got me started on contributing to the Rogue TC community. Working on the ShadowCraft engine has been fun and I did a bit of work to get outdated parts of it somewhat up-to-speed with the current state of the specs ingame. Outlaw had already been regarded as unsupported because of certain difficulties and time-issues to model the randomness and cooldown reduction elements of it. At least, I wanted to do my part in keeping the other two specs alive. Since I joined the team, Aeriwen and Tamen have done an amazing job of rewriting the whole ShadowCraft UI with modern react-technology. It was an admirable effort that I was able to follow up on as they progressed. During that time, I got more involved all around the Rogue/TC community and by now am one of the main maintainers for the Rogue module in SimulationCraft, doing a lot of the implementations since 7.2.5, as well as a developer for HeroDamage. Fighting on all these fronts has made me shift priorities and, unfortunately, ShadowCraft suffered from that. I preferred to focus on the accuracy of SimC and helping with frontline research there. Since ShadowCraft got its great new UI, I feel like I did it injustice by not delivering as good an engine it deserved and I am very sorry for that. The Rogue specs have evolved a lot over the years. Increased complexity made formulations harder while the advantages of simulations and easier simulation access (e.g. via Raidbots) made SimC even more popular. ShadowCraft became mostly a job of updating it to match research already done elsewhere and to match simulations. Ultimately, the end of ShadowCraft comes and is based on both, issues of time-management and priorities. I am glad to have been part of this team of awesome people, even if only for a fraction of its lifetime. I am sure we all keep ShadowCraft in our memory as it will always have its prominent place in the history of Rogue theorycrafting and tools. The finale for the first season of my WoW short stories is now available on the Words page. Make sure to catch up on the previous episodes, if your interest is sparked. As to my plans for the future, I have the rough story for the next season drafted out and want to tell it sometime (without any ETA). After season two, however, I will likely end this experiment and focus on other projects instead. I started this project because I wanted to try and tell a story, but I do not really consider myself an author. A selection of photos from my vacation on Madeira this year is now available on Flickr. Also, you can get the next episode for Tales of Azeroth on the Words page. If you’d like to read it, make sure to catch up on the previous episodes. The next one will be the season finale and will be released next week.